Fear Street is getting a new resident. 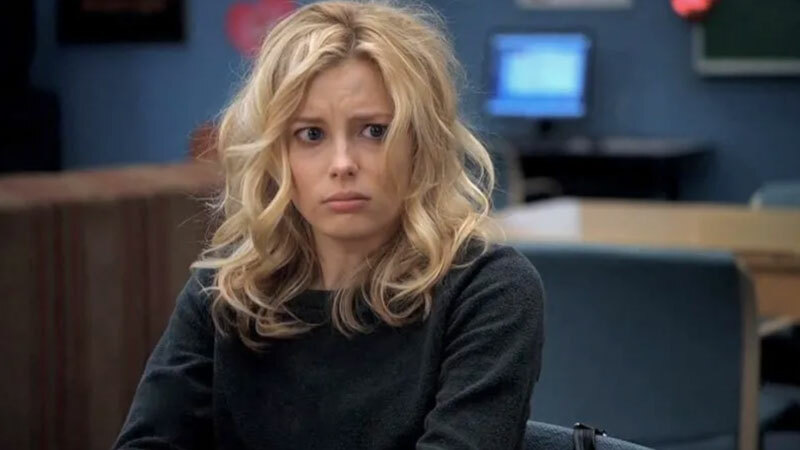 Gillian Jacobs (Love, Community) has joined the cast of the film adaptation of R.L. Stine’s bestselling book series, The Hollywood Reporter has learned. The intended trilogy will be set in three different time periods, 1994, 1978, 1666, with Jacobs set to play a character in each. In the 1994 setting, she’ll play a summer camp maintenance worker. Jacobs joins the previously announced Sadie Sink (Stranger Things), Ashley Zukerman (The Wind), Fred Hechinger (Eighth Grade), Julia Rehwald (Panic), Jeremy Ford (A Mother’s Sacrifice), Kiana Madeira (Sacred Lies) and Olivia Welch (Modern Family). The Fear Street trilogy, as its currently planned, will be based on Stine’s novel series of the same name. The series first hit shelves back in 1989. It featured a group of teenagers who dealt with supernatural—and often violent—threats to their small town of Shadyside. All three films are being released back-to-back, with the possible intent to release them theatrically a month apart. Although it’s unclear if this will actually transpire. Along with penning Fear Street, Stine is most frequently known for his series of children’s horror novels Goosebumps, which has been adapted for the screen a few times. Its first adaptation was a show of the same name which ran in the mid to late 1990s. More recently, the series has been reimagined for the silver screen. The first Goosebumps film hit theaters in 2015 and starred Jack Black (School of Rock) as Stine himself. The sequel, Goosebumps 2: Haunted Halloween, was released in 2018 and featured a mostly-new cast of characters. Jacobs can next be seen in the horror film Larry, as well as one of the voices of Amazon’s animated Invincibles, based on the Robert Kirkman comic book. The post Adaptation of R.L. Stine’s Fear Street Lands Gillian Jacobs appeared first on ComingSoon.net.